Amazon's greatest gift to the world is online present shopping. In the dark ages of 10 years ago, the holidays meant shuffling from store to store, slowly becoming more paper bag than human. Now, we lounge in our pajamas, moving only our fingers to communicate our love through e-commerce. But holiday shopping just got even easier. 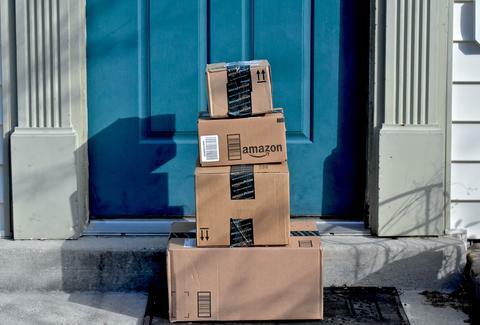 Amazon has launched free one-day and same-day delivery for Prime members for the rest of the holiday season: from now until December 24 at 11:59pm. If you're an Amazon Prime member, you could technically order a present on December 24 and receive it in time to prevent a blue Christmas. To pull that off, you'll have to order before 9:30am local time on December 24. We would not recommend cutting it that close, though. To qualify, your order has to be over $35; otherwise, you'll pay an extra $5.99 per Christmas miracle. Non-Prime customers can get same-day delivery, but it'll run them $8.99 per order, with an additional $0.99 per item. Also remember that same-day delivery is only available in certain zip codes. Whole Foods and Amazon Books stores will be open on Christmas Eve, selling gifts and gift wrap. Keep in mind that Prime members also receive discounts at Amazon Books. But seriously, you should be buying presents before Christmas Eve. James Chrisman is a News Writer at Thrillist who wishes Amazon would deliver him. Send news tips to news@thrillist.com and follow him on Twitter @james_chrisman2.